Small millets are traditional food crops that grow well under the climactic conditions of India. These grains are well suited to meet the dietary needs of the population. They are high in protein, micronutrients, and fibers, and have a low glycemic index and no gluten. However, production and consumption of small millets decreased when highly productive cultivars of rice were introduced in the 1960s when food insecurity was imminent. Starvation was averted, but the change in diet has led to high incidences of diabetes and obesity. 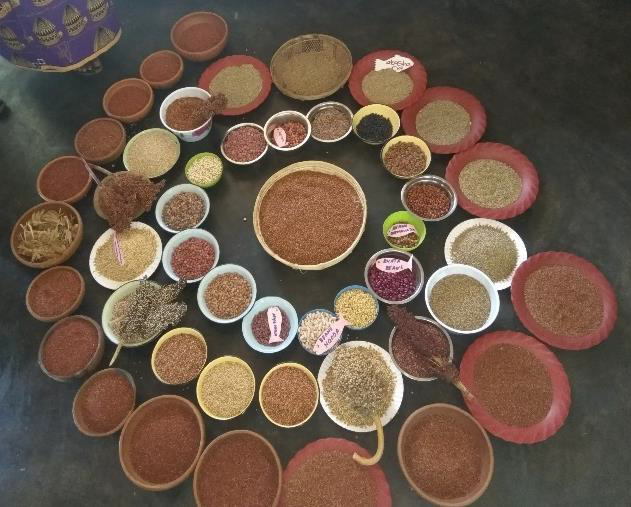 The goal of this project is to promote the consumption of small millets and to provide nutritious millet-based foods in India and beyond as a means of improving the health of the population, and to ensure food security for an expanding population within the context of climate change and degradation of soil and water resources. The DHAN Foundation was established in 1997 with the mission of “building people and institutions for development, innovations and scaling up to enable the poor communities for poverty reduction and self-reliance”. DHAN currently works with 1.2million poor families across 15 states in India on water, agriculture, development, education, microfinance, and grassroots democracy. The Tamil Nadu Agricultural University (TNAU) is a leading provider of agro-technology for India and is responsible in large part for the modernization of the agricultural sector in South India, offering 12 undergraduate degree programs and 29 postgraduate degree programs in 10 colleges on 7 campuses located throughout Tamil Nadu.